In today’s day and age, there is no dearth of good retirement plans. That said, there are some caveats if you really want to benefit from them, the chief among them being the fact that there is no one way to achieve your goals and gain maximum profits. According to Jennifer Landon, founder and president of Journey Financial Services, there is no such thing as a “silver bullet” when it comes to finding an ideal retirement plan. This is due to the basic reason that any retirement plan which qualifies as “good” is comprised of a combination of income sources that have specifically been structured for the set goals. Quite unsurprisingly, pensions work as the best retirement plans on account of the fact that they ask very little from you. When it comes to pensions, the money is contributed by the employer and funds are managed professionally. All that is left for you to do, therefore, is to keep working till you qualify for it. That said, it is not a suitable option for everyone. According to Marc Labadie, vice president of CR Myers & Associates of Southfield, Mich, pension plans today are very different than what they used to be. While they are standard for people working for the government and municipal corporations, they are getting decreasingly popular in the corporate sector. Even the pension plans that still stand have become less generous. In fact, many don’t even offer a cost-of-living adjustment, which means that the first payment and the payment of say, 30-35 years later (when you’ll be 90 or 95) will be the same. 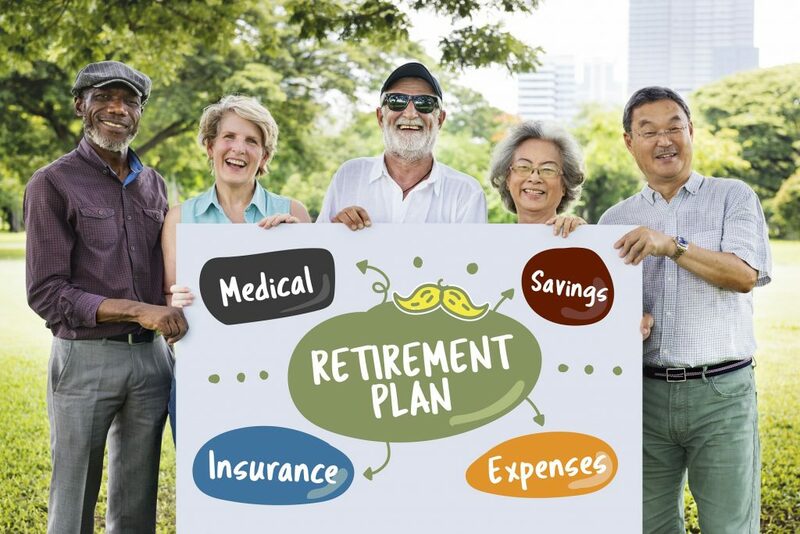 Labadie further added that in order to live comfortably future retirees who do have pension plans should make it a point to save additional funds – or move down to a lesser lifestyle. Defined contribution plans like 401k or 403b allow you to give your future the kind of direction you desire by allowing you to choose your plan, change the options, make contributions, and over and above all – choose to participate (or not) in the first place. According to several financial, defined contribution plans serves as the best retirement plans – right next to pensions – since the employers who offer them usually match a specific portion of your contributions. Tim Swanson, executive vice president and U.S. head of Citizens Private Bank & Trust, says that in most cases, this turns out to be a dollar-for-dollar match, making an immediate 100% return on the employees’ money. Needless to say, the biggest upside to such plans is having your contributions automatically deducted from the paycheck – thereby saving you the hassle of making an extra effort to save and/or invest. The downside, however, is that there is a limit to how much you can contribute. For instance, the limit for people under the age 50 (as of 2015) was $18,000, whereas the same limit was increased by $6,000 for people over 50 (and only in terms of catch-up contributions). While some employers do offer a Roth 401k option, which tax the funds you contribute upfront, most 401ks are conventional and require you to pay taxes when you make withdrawals. Funded with taxed money, Roth IRA refers to an individual retirement account which will give you the opportunity to grow and make withdrawals – without paying taxes. According to Swanson, one of the best retirement plans (that he himself usually recommends) is to sign up for a 401k and then do a Roth IRA – in the event that they can afford it. Doing so will allow them to get a plan that is well-balanced and permits them to pre-tax contributions to the employer plan as well as after-tax contributions to the Roth plan – both at the same time. Roth IRAs also come recommended for the younger savers, regardless of whether their plans are sponsored by their employer. Labadie says that it is very advantageous for the young saver (who literally is several decades away from retirement) to pay taxes today at a known rate today, see it grow tax-deferred, and finally pay out as tax-free – when the tax rate is unknown. All said and done, Roth IRA too is not a viable option for all. Whether or not you’re eligible and how much you can contribute depends upon your modified adjusted gross income and tax filing status. Annuity refers to an insurance product which permits you to invest in the present day, and receive a guaranteed income stream in return from the time of your retirement. You get the option of receiving your payments per month, quarter, or year, or even as a lump sum. Annuities are of several different kinds. There is the single-premium immediate annuity (SPIA), which allows you to invest and then trigger the income immediately (though it is currently not a popular option due to the low rates of interest). Also available is the deferred-income annuity (DIA) that has a cash-refund option. This is a much more popular option due to that fact that it allows you to control the time when you can trigger the income stream and gives you the options to not annuitize at all – if you don’t need and/or want it. If you’re close to retirement with no substantial savings in place, you should consider real estate as a viable retirement-planning option. According to Landon, while anyone can choose to opt for real estate as a retirement plan, it serves best for the 50-60 age bracket since they are the ones who need to prioritize their income-producing options. Landon says that it is best to opt for the investment that will give them the most of their money. Real estate, for more reasons can one can – and does give this opportunity by creating a decent – yet constant income stream. When it comes to making real estate your retirement plan, it is always recommended to purchase the property with a lump sum in order to avoid the complications and hassles of debt during retirement. You should also set apart some money for taxes and repairs. The only downside of real estate is the fact that property management is an active process that requires constant working and involves ongoing and real risks. And that may turn out to be bothersome for some people. That said, once you weigh the pros and cons of real estate together you will realize that it might just prove to be a better option than most.